BURLINGTON, ON – Nickel Brook Brewery has announced the launch of a month-long campaign to raise funds for a charity that is close to the heart of the brewery’s founders. Cause For A Cause will see 10 cents from every can of Cause & Effect Blonde sold in June donated to Ronald McDonald House Charities, a network of 15 houses across Canada that provide living space and support for the families of ill children that are being treated in nearby hospitals. 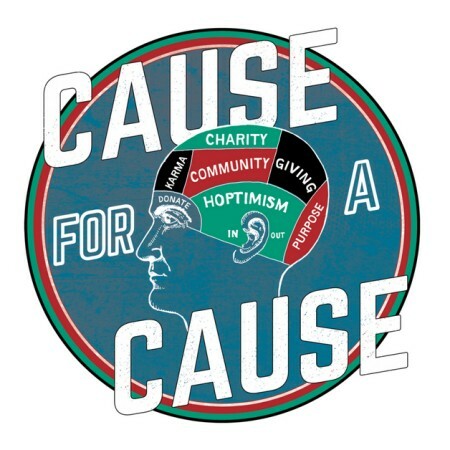 In addition to donating partial proceeds from sales of Cause & Effect, Nickel Brook will also be hosting a fundraising BBQ at the brewery on June 17th, with all beer sales on the day to be added to the total donation. Cause & Effect Blonde is a 4.7% abv and 19 IBU ale that is available in 473 ml cans at LCBO, Beer Store, and grocery store locations throughout Ontario.